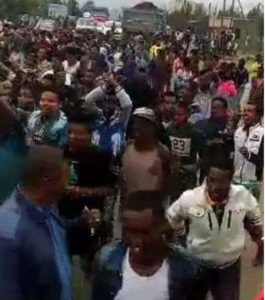 Security forces killed four people as anti-government protests continue in Ethiopia demanding the removal the regime. Regime security forces shot and killed two people in Gundo Maskal town of North Shewa while two others were killed in Bedelle town of Illubabor. Eight others were seriously injured. In Limu Genet, Jimma, protesters took control of vast coffee plantation that was taken from the local farmers by the oligarchy. Protests have also resumed today in towns across the country.